Toop&Toop Blog: Proud to be South Australian...with everyday heroes. Proud to be South Australian...with everyday heroes. Sitting in brand new seats in OUR brand new stadium last Saturday with 50,000 other South Australians brought a tear to my eye, especially seeing a full house with a roaring crowd. Adelaide Oval has finally opened for business, and I just loved every minute of the first game's atmosphere! I was overwhelmed with pride knowing that I had played a very small part in this day, while many of my mates have paid a big price personally to make this stadium a reality. This week's InsideStory is dedicated to each of the key players who have had a role behind the scenes, away from the media attention and public view. I know we won't see your names over any of the new sections or bars throughout the Adelaide Oval and there are very few who would even know your names, however the personal price you have paid has been high. You know who you are and we should all be extremely proud that we have unsung South Australians in our community like you. You are the real heroes. The benefits of our new Adelaide Oval were seen from the early stages and have affected us all differently. Gen and her partner Tom returned from London shortly after I got sick and Tom began working with the construction team at the Adelaide Oval. 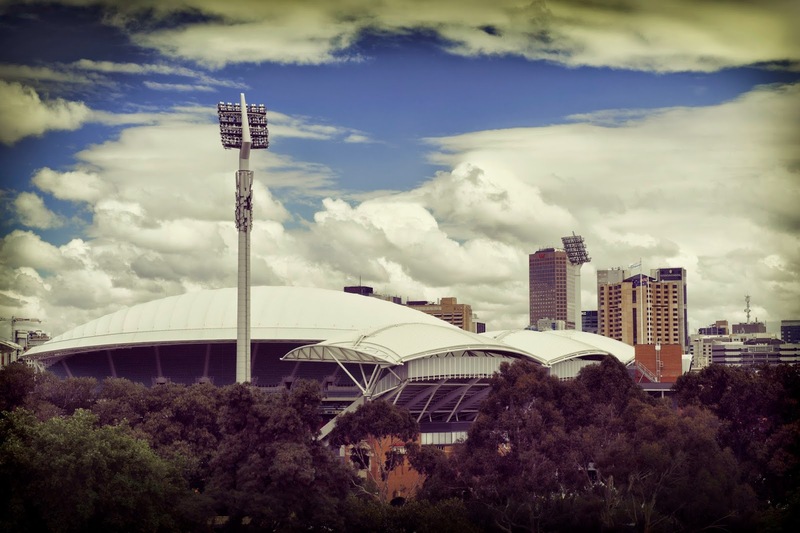 The stadium provided him with an opportunity to build not only an icon, but also a life back in South Australia. Adelaide Oval means something special to so many of us and represents a new and vibrant future for all South Australians. I'll never forget the feeling of excitement and anticipation of the first bounce at last week's showdown, two elite South Australian AFL teams...everyone passionate and in harmony and all hopefully feeling proud to be South Australian. As a Power supporter, naturally I finished the day on a high but that wasn't what last Saturday was really about to me. It was about being born and bred here in South Australia and proud of it. Toop&Toop recently won the Nation's best Real Estate Office of 2014 for our Hyde Park office. This win meant that we have now been named BEST AGENCY in Australia for all three agency categories of Small (Stirling), Medium (Hyde Park) and Large (Norwood). We are so proud that Toop&Toop are the only agency in Australia ever to achieve this. South Australia is punching so far above its weight in the real estate industry it's incredible! With world-class sports teams and facilities, combined with our drive to compete against massive odds, I think South Australians have been reminded once again (especially with the opening on the Adelaide Oval) that we hold the right to hold our heads high and feel extremely proud! We are achieving great things in this beautiful state.